As EMS Week 2011 winds down, it's a good time to remember the folks who come to our assistance in all kinds of weather and all times of day or night. I am proud to be a NYS EMT volunteer with my local ambulance corps and serving my community. 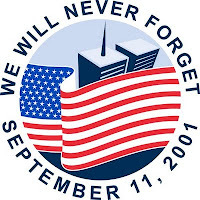 Please check out my post about NYSVARA (New York State Volunteer Ambulance and Rescue Association) and all that they do - the address to send donations is there too. Just go to the May Awareness Project on the Tales of Allure blog. 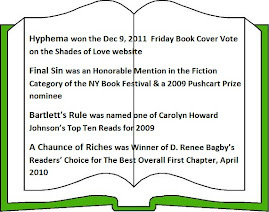 Two of my novels, Final Sin and Hyphema are both thrillers with a healthy mix of suspense, action, mystery, passion, murder and EMS. The medical scenes are real and thrilling, the love is intense, and the suspense is edge of your seat. The hero and heroine of Final Sin are Paramedic Julie Davis and Deputy Sheriff Jake Carlson. Julie's best friend and paramedic partner, Matt Garratti, comes back in Hyphema. For the second time in less than two weeks, there were police in Julie's living room. She was sitting on the edge of her bed and listening to the voices. Jake was talking in hushed tones to one of the officers. He came to the bedroom door and his heart wrenched when he saw her still looking so dazed. Jake walked over to her and knelt down. "Sweetheart, I want you to go away for a few days." She looked at him suddenly. "Why?" "I have to get to the bottom of everything that's been happening. I need to find out why you got this package… and why someone made videotapes of you… and even why your car was vandalized the other day." Julie hadn't made a big deal of the damage to her car but had mentioned it briefly to him during a conversation. She hadn't told him what had been scratched into the hood of her car and until his comment she hadn't even thought of it in connection with the other incidents. Julie shrugged. "Is someone really looking to scare me or something?" It seemed ludicrous and yet there was no other explanation for the strange and vindictive things that had been happening lately. "I don't know. But I don't want to take any chances. I can't take any chances, not when it comes to you." He wanted so desperately to protect her and he didn't know who or what to protect her from. He was glad that he had at least been there when she got that frightening special delivery that morning, but then he wanted to kick himself that she had gotten it at all. "I can't… I can't leave. I have work. I've got responsibilities." "Just a few days, Julie. I want you out of here for just a few days." I want you out of harm's way, he thought. I want to make it safe for you. She looked at him defiantly and shook her head. Then suddenly she felt like she was ready to crumble. "Where? Where should I go?" He thought for a moment. Jake tried to smile. "When is the last time you visited your parents? Let them take you to Disney or Sea World or something." "They'll worry. It's too sudden. They'll think something is wrong." Her protests were weak. "I don't want to worry them." Jake wanted to shout at her that there was something wrong, but he didn't want to scare her any more than she was. He didn't want to scare himself any more than he already was either. He forced a laugh. "Tell them you just got proposed to and he's old and he's got a kid. Tell them you need a few days to sort out your feelings before you tell him yes." Julie laughed, but she sounded like she was ready to cry. "I thought you were trying to remove the stress." Those of you who know me know my passion for EMS & volunteering. I am a proud member of the Stony Point Ambulance Corps (25+ years!) and ride as a NYS EMT as well as serve on the Board of Directors, in our Auxiliary and work with our Youth Squad. Please leave comments - lots of them! 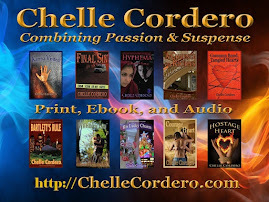 When I wrote my novel Hostage Heart this country was reeling from the stories of the tremendous losses suffered by the people of New Orleans after Hurricane Katrina and the levee failure. Although I was not personally down there at this time, my husband was as a rescue worker and he brought home tales about the people down there and their wonderful spirit. ...ever since that time, we have felt a kinship with the people of Louisiana and the surrounding area. We've been following the news and the reports of a swollen Mississippi River with concern and heartache - and we are sending our prayers for recovery once again. Celebrating 2 Years this month! 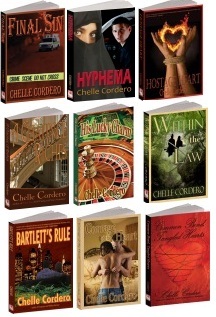 Having Chelle Cordero's blog on my Kindle is like having an author here in residence with me. She gives inspiration, motivation, and best of all, practical advice and solutions. 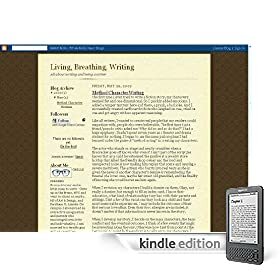 I love the "writing exercises" she offers at the end of each blog, as well as the "writing prompts". I've already used them myself and with my 6th grade writing class! 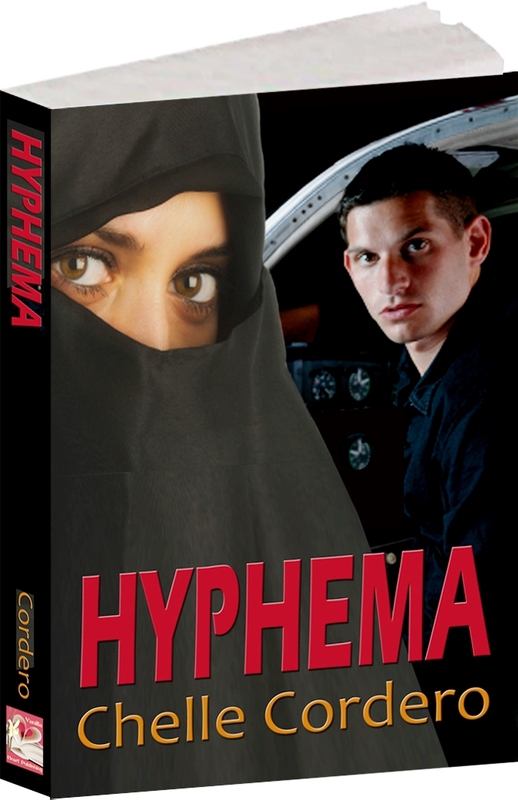 Omigosh, I was looking over my latest virtual book tour for Hyphema and I surprised myself - I'm a writer! Wow. 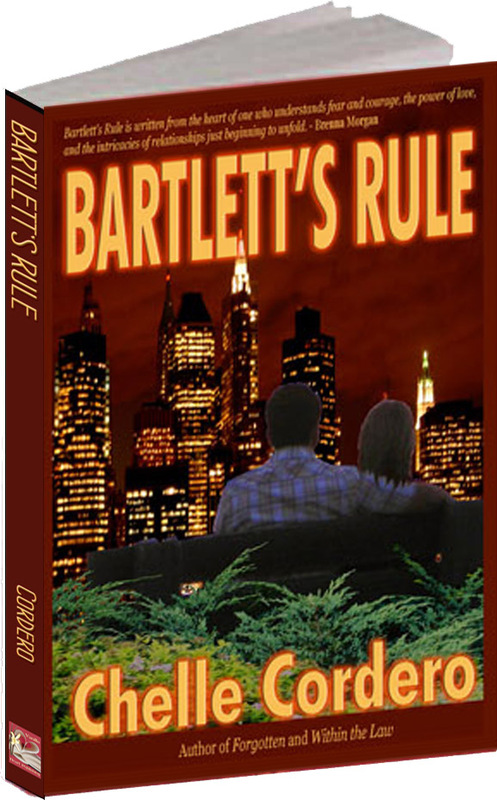 This has been a terrific journey since my first published novel, Bartlett's Rule. "I never wished a man dead, but I have read some obituaries with great pleasure." - Mark Twain. That’s quite a quote and several of us posted such lines on Facebook and other social media sites to help explain the myriad of feelings. I woke the next morning in a world where the man on the FBI’s Most Wanted List was marked deceased. 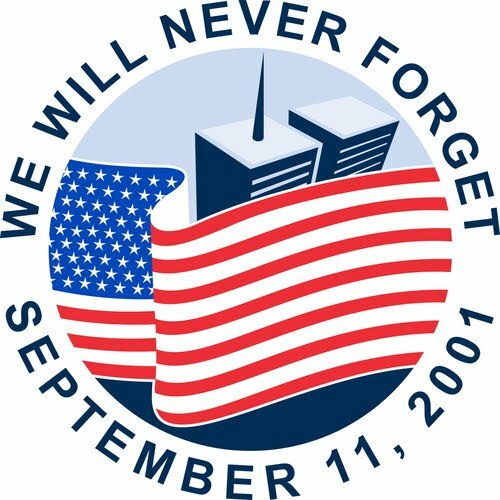 The lives lost because of Bin Laden and his followers are gone forever leaving only tears behind, but the world is changed once again. I recently wrote a novel involving a very contemporary issue, the heroine is a Pakistani Muslim immigrant. She is a peaceful, gentle woman. I did a lot of research in writing about this potentially volatile subject. I believe that there is good and bad in every people. I also know there are some who refuse to see past a few and blame an entire group. 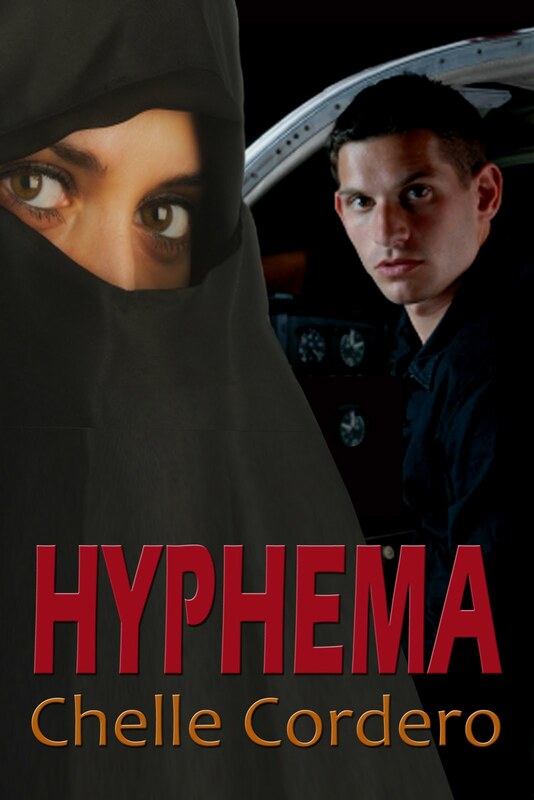 In Hyphema, Sudah encounters prejudice because of who she is and where she comes from. There is one scene where she is accused of being “the same”… I’ve thought about how ironic these words seem now. “Wouldn’t you be used to that?” Donna directed her question at Sudah. “Donna?” Both Laurie and Trisha were shocked by Donna’s question. “Well you Arabs are always fighting.” Trisha tried to stop Donna, Donna ignored her.